BOARDMAN - James W. Clawson, 79, passed away Saturday morning, Sept. 27, 2014, at Park Center Health Care, following a lengthy illness. James was born March 31, 1935, in Youngstown, a son of the late Wilfred J. and Doris Bates Clawson, and was a lifelong area resident. He was a graduate of Liberty High School and served his country in the National Guard. Mr. Clawson worked for Youngstown Sheet & Tube/LTV at the Brier Hill Works for 23 years, and subsequently worked for Syncor as a deliveryman for five years, retiring in 2002. He was a member of the Grace Lutheran Church in Austintown. Jim enjoyed bowling and golfing, spending his winters in Florida, and he especially loved sharing his life with his family. Jim leaves his beloved wife of 58 years, Sonia Michaelian Clawson, whom he married May 19, 1956; his son, Eric J. Clawson of Austintown; his daughter, Andrea L. (Richard) Seidler of North Lima; five grandchildren, Sean Seidler, Aaron Seidler, Aleah Seidler, Taylor Clawson, and Sarah Clawson; and a sister, Patricia (John) Radovich of Liberty Township. Family and friends may call from 5 to 7 p.m. on Monday, Sept. 29, 2014, at Kinnick Funeral Home, 477 N. Meridian Road, Youngstown. Family and friends may also call from 10:30 to 11 a.m. on Tuesday at the funeral home, where funeral services will follow at 11 a.m.
Interment will be at Green Haven Memorial Gardens. 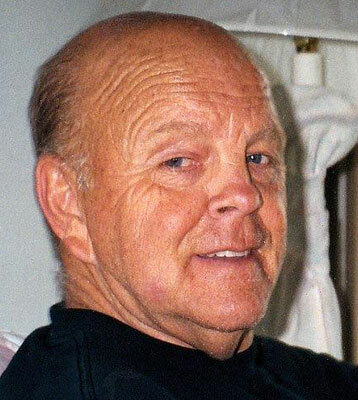 Please visit kinnickfuneralhome.com to view this obituary and to send condolences online to Jim’s family.